Recent visitors on the boulder musical scene have been in the news, with stories that range from near-tragic to positive to fascinating. They concern Terrence Wilson, the pianist whose performance of Michael Daugherty’s Deus Ex Machina piano concerto electrified audiences at the Colorado Music Festival just last month; composer Stephen Lias, the world premiere of whose Gates of the Arctic opened the 2014–15 season of the Boulder Philharmonic to great acclaim; and Time for Three, the “classically trained garage band” trio of two violins and bass who have upturned many expectations for classical audiences, at CMF and elsewhere. 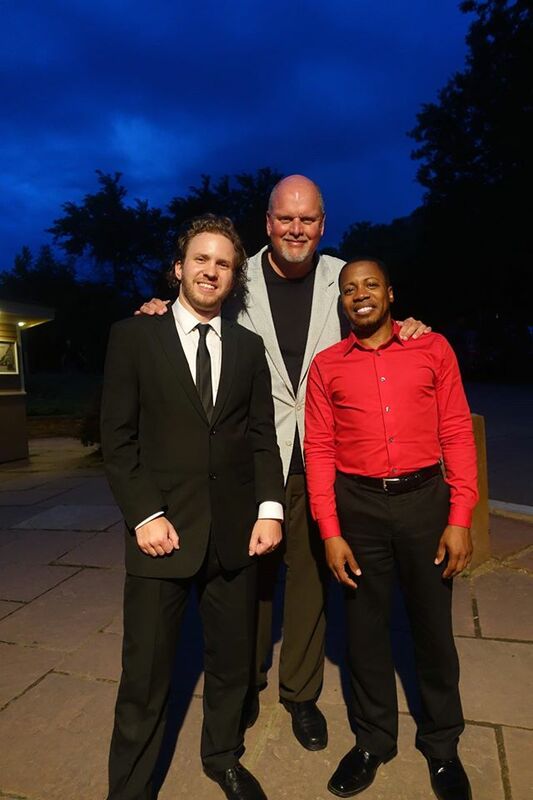 On July 9 and 10, Terrence Wilson was dazzling CMF audiences with Daugherty’s virtuoso Deus Ex Machina. Barely two weeks later, he lost all of his music and his piano when a fire broke out in his apartment building in Montclair, New Jersey. According to a report published by TAPinto Montclair, Wilson had left his fourth-floor apartment briefly to get something to eat. “As soon as I turned the corner, I could smell the smoke and see them fighting the fire,” the report quotes him saying. That story continues, “He lived two floors above the second floor apartment where the fire started. When he returned, Wilson said that his entire apartment was in flames. If you would like to help Wilson, you may contribute through the GoFundMe page. For the 2015 program, Lias took nine composers into the Denali National Park and Preserve and the Yukon-Charley Rivers National Preserve in Alaska for eight days. At the end of the course, the composers had the opportunity to hear their new works performed at the Fairbanks Summer Arts Festival. The past year also saw a successful Kickstarter campaign to fund a CD of music by Lias that was inspired by Big Bend, Mesa Verde, Carlsbad Caverns, Yosemite and Denali national parks. 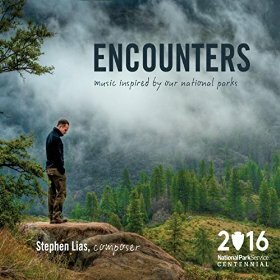 The CD was timed to be available for the 2016 centennial of the National Park Service, with the hope that the CD will be sold in national park bookstores around the country. In the meantime, you can sample the CD or purchase downloads of the five works on Lias’s own Web page. The recording is also available for purchase through Amazon and iTunes. Nikki Chooi (center) with Ranaan Meyer (l) and Nick Kendall (r), the new lineup of Time for Three. June Etta Photography. Zach De Pue, the co-founding violinist who has been with Time for Three since the trio was founded 15 years ago, has announced that he has decided to focus his time on his position as concertmaster of the Indianapolis Symphony. Over the next year he will leave the group, to be replaced by Canadian violinist Nikki Chooi, winner of the 2013 Michael Hill International Violin Competition. The announcement on the Time for Three Web page states: “This has been an incredible new door for us to open, and there is a lot planned as we take steps together towards a new, fulfilling future!! Chooi has said he is “beyond thrilled” to join the highly successful and fun group. You may read a longer story about the transition in Strad Magazine. Note: This story was edited Aug. 2, with minor grammatical corrections.